End-Point Assessment (EPA); the new assessing role. Are you curious as to what this EPA is all about? Well, you’re starting in the right place. 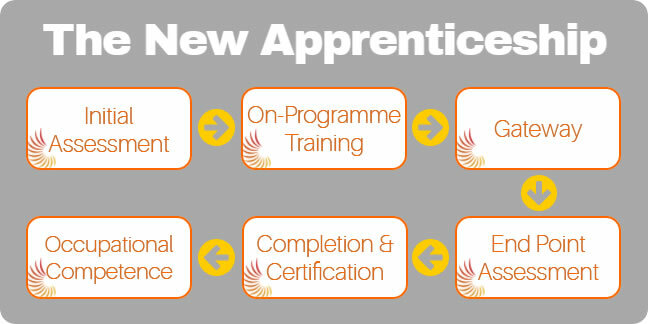 End-Point Assessment was one of the biggest changes to come out of the most recent Apprenticeship reform. Basically, EPA is a series of one-off assessments an Apprentice has to do at the end of their Apprenticeship. And on that note, you will only find End-Point Assessments in Apprenticeships. So, if you deliver/assess stand-alone vocational courses for example, you won’t be impacted by EPA. EPA does not include anything from any other assessments or qualifications the Apprentice has done throughout their Apprenticeship, or even prior to this. The assessments that are carried out during the EPA are completely independent from the ‘On-Programme’ element. Which is why you will see assessors responsible for delivering the EPA are called, Independent End-Point Assessors (IEPAs). Exactly what each EPA looks like, depends entirely on the sector the Apprentice is working in and the level of the qualification they are doing. In any case, every Apprentice must pass their End-Point Assessment in order to pass their Apprenticeship and most importantly, be deemed competent to work in their role. With any luck, you should now have a fairly good understanding on what End-Point Assessment is. ← Where Do I Begin With Setting Up A Training Company?